In short.. the Giants raped the Skins again. The Skins did do well to take advantage of a few plays and mistakes on the Giants side. Now if only we had Plaxico. *shoots self in foot* lawl. Take that Wrathie. Now this would be a very accurate representation of both of the teams. //End giving Foose and Wrathie a hard time. This entry was posted	on Sunday, September 13th, 2009 at 7:11 PM	and is filed under News. You can follow any responses to this entry through the RSS 2.0 feed. You can leave a response, or trackback from your own site. 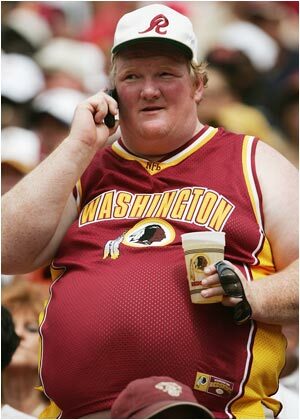 LEAVE THE REDSKINS ALONE! LEAVE THEM ALONE I SAY!!!!! !